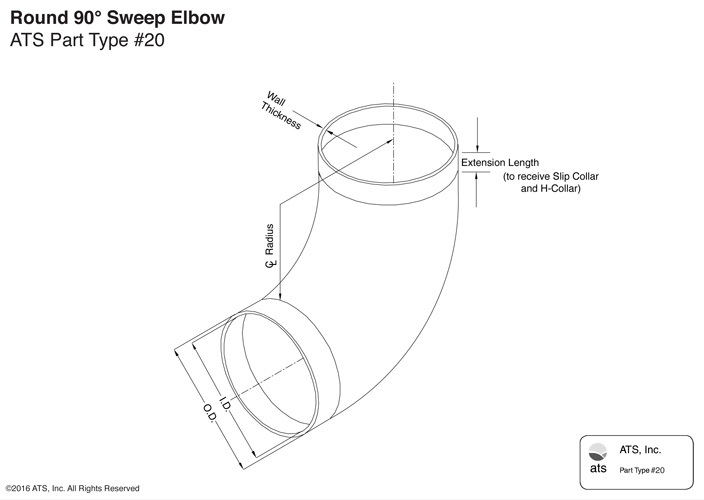 Our standard radius 90o sweep elbows have a centerline (CL) radii equal to 1.5 times the nominal diameter. 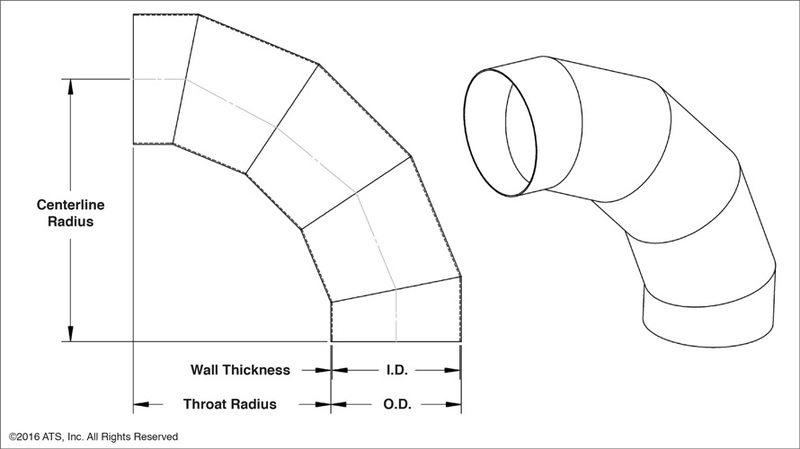 Extensions at each end of the elbow facilitate the use of ATS H-Collars (or ATS internal slip collars) for joining purposes. ATS 90° 3 gore mitered elbows are made to customer specifications. Part type #24 is ideal for applications where tight turning radii or other limitations on size and space make using standard sweep radius elbows impossible. 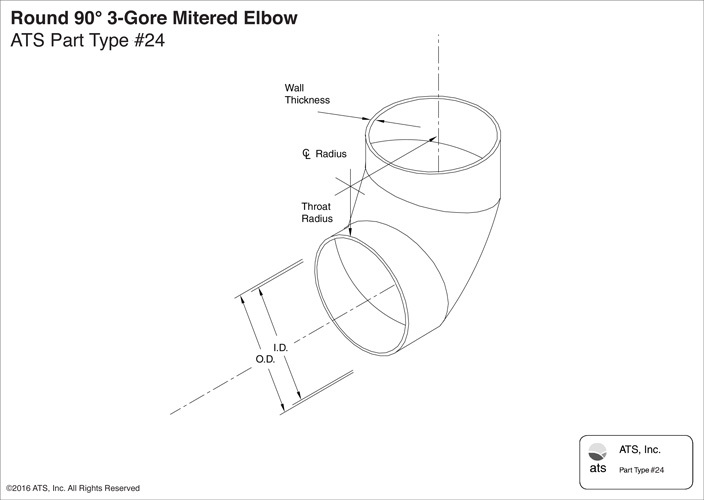 3 gore mitered elbows available in any standard nominal diameter. ATS 90° 5 gore mitered elbows are made to customer specifications. Part type #25 is used for better airflow. 5 gore mitered elbows available in any standard nominal diameter. 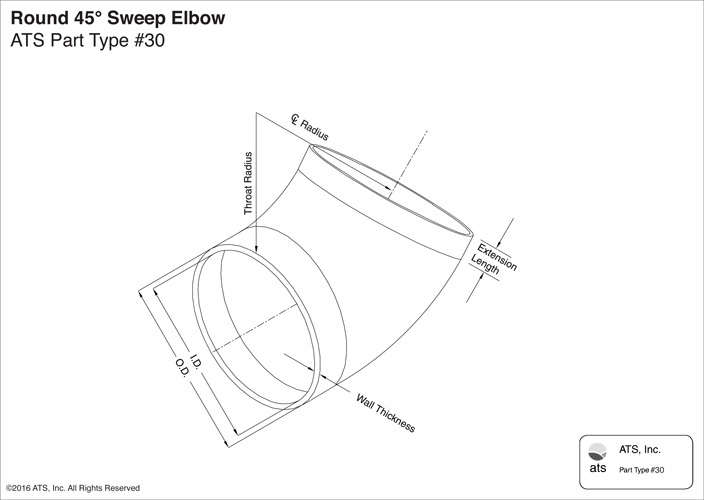 Our standard radius 45o sweep elbows have centerline radii equal to 1.5 times the nominal diameter. Extensions at each end of the elbow facilitate the use of ATS H-Collars (or ATS internal slip collars) for joining purposes. ATS 45° 2 gore mitered elbows are made to customer specifications. This part is ideal for applications where tight turning radii or other size/space limitations make using standard sweep radius elbows impossible. The use of ATS gored elbows allows for design and installation flexibility. 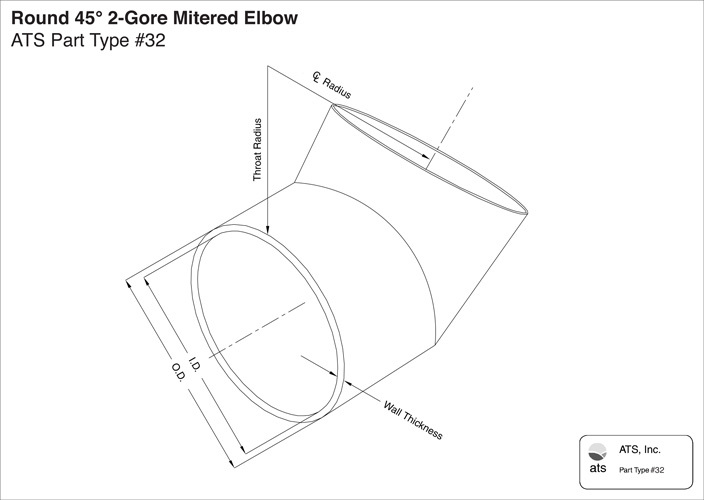 2 gore mitered elbows available in all standard nominal diameters.